After over 6 months off the water and a wet and cold May, UPCRC rowers are back launching at Founders Landing! I’d like to update all returning rowers on some important Club dates and what’s new. First, within the next couple weeks, you will be receiving an email notice to go online and sign your US Rowing waiver. This is a requirement even though you have already signed a paper waiver. If you have difficulty navigating the US Rowing website, please let a board member know and we can help. Secondly, we will NOT be hosting safety launch or cox clinics this year. If you would like to learn one or both of these important skills, please contact myself or any other board member and we will set up instruction. These positions are critical to our ability to have rows go out. We can never have too many that are trained to launch or cox. If you have launch experience, per club policy you need to be checked out prior to launching solo. Please contact me to set up a time to do this. 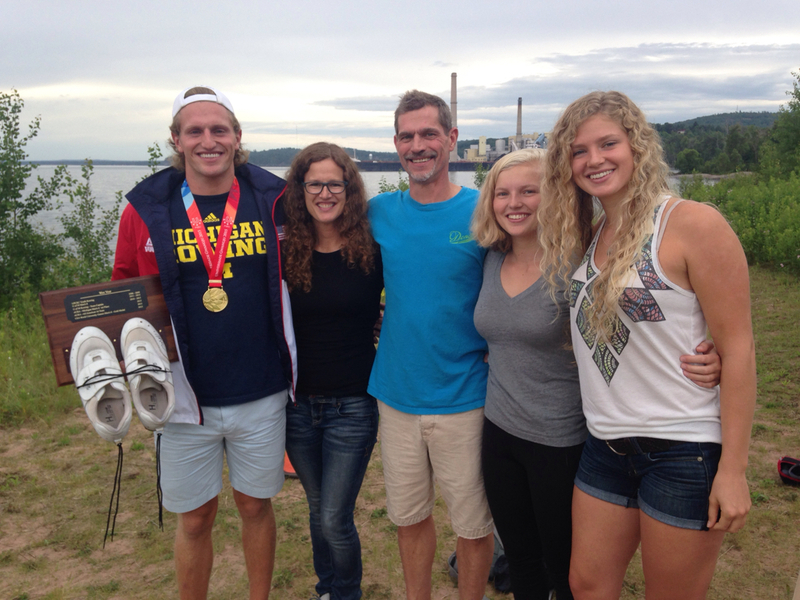 Learn To Row is officially underway….please welcome our newest class of novice rowers. They are enthusiastic and picking up skills quickly! Important Dates…..We will be hosting a welcome picnic at Mattson Park in Lower Harbor on Sunday, July 9th. A poll will be available to sign up. All new and returning rowers and family members are welcome to attend. Tuesday, July 4th we are once again helping out the Exchange Club in the beer and token tents. The Exchange Club has been very good to us over the years and this is our way of giving back. More information and a link to sign up for this fun event will be available soon! 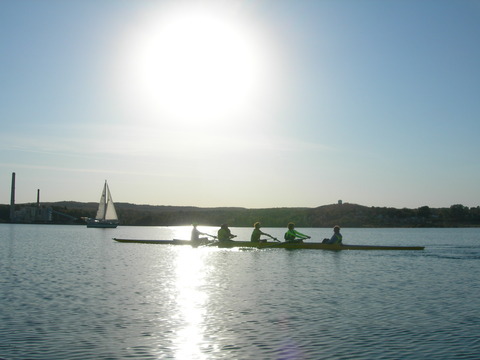 Sunday, September 17th we are once again hosting the Iron Oars Regatta on Teal Lake. This race is always a lot of fun and a great way to begin winding down out on water season. As always, if you have any questions or concerns, please contact one of your UPCRC Board Members. I am looking forward to spending time on the water with all of you this summer! 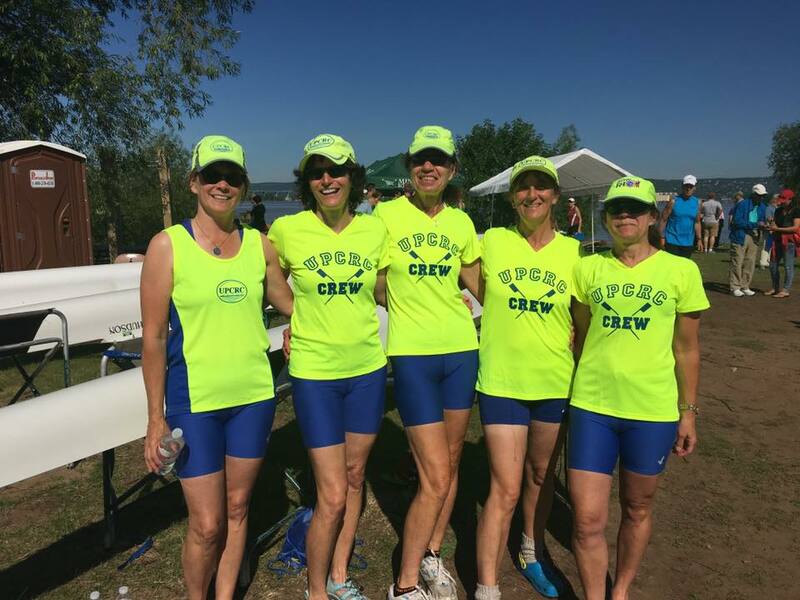 Welcome to the UPCRC 2016 Rowing Season! The summer forecast is warm and dry and we have already had our earliest ever start to the on-water season! As President, I would like to welcome back all of our returning rowers and briefly update you on the UPCRC Board activity. First, it is important to note that as experienced rowers, you may begin rowing as soon as your requirements have been met and your paperwork and dues check have been submitted to Gail Brayden. Please take advantage of her newly installed yellow mailbox. If you don’t want to wait until the June 8th Orientation Day at the MSHS pool, swim tests can be scheduled at the Y & the PEIF and any board member or erg coach can witness your lift test. 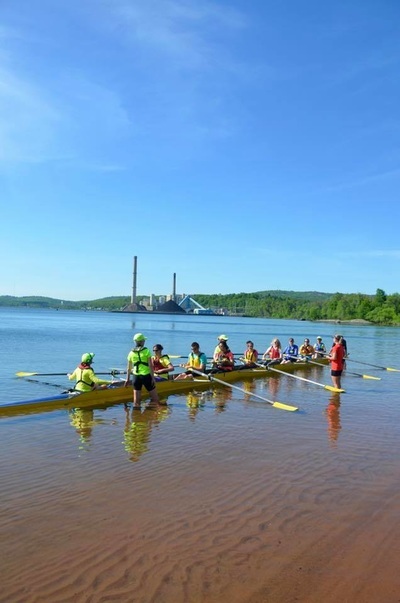 The safety video can be viewed independently and can be found online at US Rowing. Membership dues this year are $170. All of this information can be found on our website uprowing.com and on our facebook page. Rowing polls can already be found on the Yahoo site. 2016 marks the beginning of our competitive rowing program and an expansion of our winter erg program. Many members have been erging over the winter months as a way to maintain their fitness and work on technique. In preparation for regatta season, some members will choose to participate in the competitive rows that will be offered through the on-water months. If this is a program that interests you, please contact Sue Lakenen, Deb Jean or Tensi Parsons. 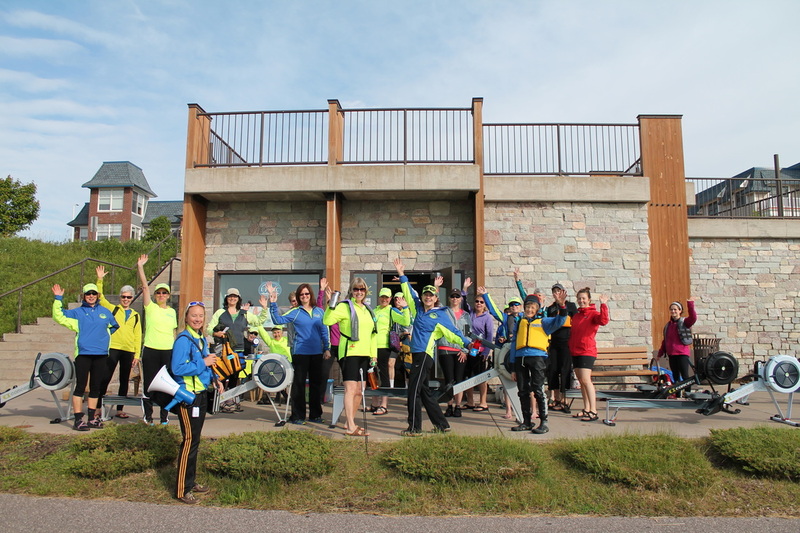 UPCRC members have strengthened our community ties by participating in/preparing for erg classes, erg coaching clinics, an indoor rowing program for disabled young adults, Meters for Melanoma, the Aspen Ridge Family Night event, Marquette Rotary’s 100,000 Meal Packing Event and the Exchange Club’s International Food Fest. Our LTR classes officially begin on June 11th and our youth program begins June 21st (preregistration required). In addition to preparing for our on-water season, we have been looking at ways to further support our club and our programs. 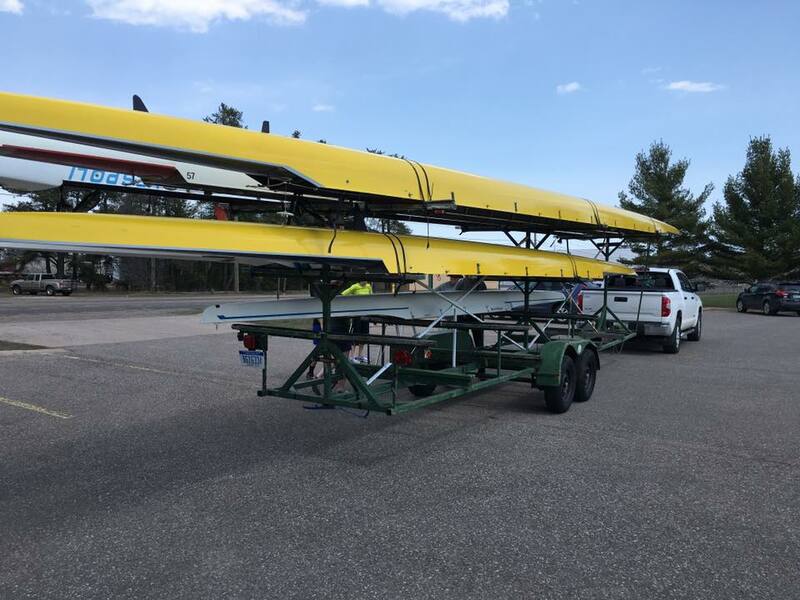 This includes further vetting of potential boathouse options, purchase and maintenance of equipment (you will see another new safety launch on the water!) and further honing of our coaches skills. All of these benefit our club as a whole and have allowed the UPCRC to enhance our programing while maintaining our commitment to safety. As you can see, the UPCRC is busy, both on and off the water! The success of our club is in the hands of our members. Please consider becoming involved and helping at one or more of our events. As always, if you have any questions, please contact me or any UPCRC Board Member. I don't know if this blog post falls under the category of "tips," or "observations," or "other ramblings," but since it is that time of year (when winter can get the best of you) I thought I'd share with you something uplifting. The Art of Positive psychology. In his TEDTalks speech, The happy secret to better work, Shawn Achor delivers some humorous insight to some serious subjects. It's not easy to break old habits, but I am trying to stay positive and take Shawn's advice. You can apply this in your personal life, in your professional life, and in your rowing life! I know you have 12 minutes, so go ahead and check it out! And then STAY positive, my friends.